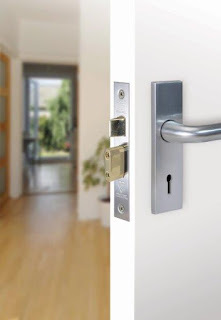 UNION, part of ASSA ABLOY Security Solutions, a UK division of ASSA ABLOY, the global leader in door opening solutions, is supporting National Home Security Month 2015. The nationwide initiative that runs throughout October is designed to create awareness around the importance of home security. “We are proud to joining our sister brand, Yale, the founder of National Home Security Month, to create awareness amongst homeowners, installers and stockists on all aspects of home security. “Throughout National Home Security Month our experienced product managers will be offering advice on product testing, quality control and UNION products. UNION has already produced a guest blog for the awareness month, explaining how the right locks can save money on home insurance policies and we’ll be offering further advice on issues like this throughout the month. Other supporters of National Home Security Month, include ASSA ABLOY brands: ABLOY, Mul-T-Lock, Yale Door and Windows Solutions, Yale Door. As well as, Screwfix, B & Q and Maplin. UNION supplies a wide range of products for the residential sector, including its StrongBOLT® range, known for its superior strength and exceeding the requirements of BS3621:2007. The StrongBOLT® British Standard 5 lever mortice lock fulfils the security needs of home insurance policies.